you all are freaking hilarious. and crazy. and did i mention that we knitters are crazy? go read the comments. 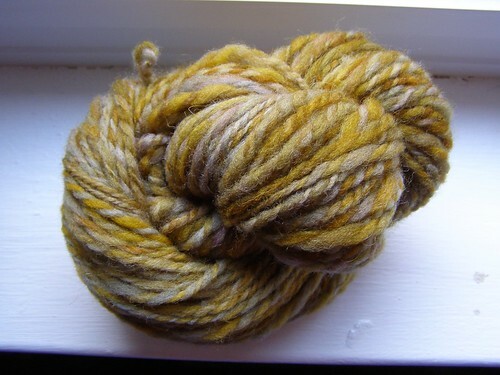 i promised a spinning post this week and here it is! 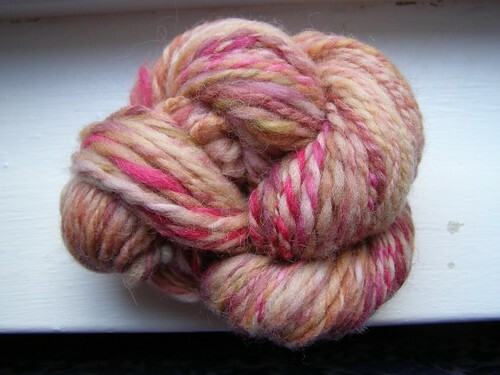 the first of my handspun yarn will make a debut at the next ‘i made it’ craft fair on december 8th! 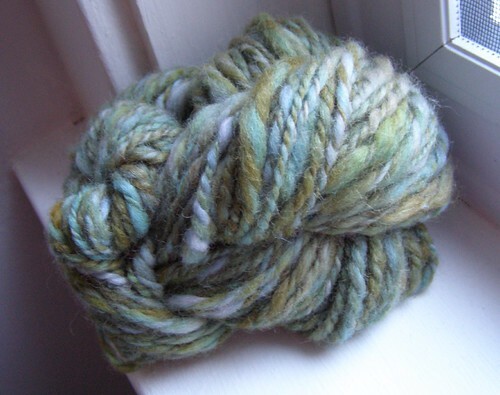 kind of exciting… i’m not totally ready yet, but i did wash and take pictures of the first skeins. speaking of craft fairs – if you’re in town – the one this saturday at the edgewood club – 1 penwood ave, from 10-5 pm and benefits the edgewood library. The unexamined life is not worth living; the unexamined faith is not worth having. We are temporary stewards of the planet, its resources, animals and ourselves – not owners. Treat Mother Nature humbly with respect, knowing that whenever you push against her, there is an equal push back, somewhere. Don’t try to arrogantly strong-arm her – you and your descendents will lose. Study her, learn from her, always be aware that you never know it all. Live humbly in harmony with her knowing that each organism has its role to play. As much as possible, let pigs be pigs, sheep be sheep, goats be goats, etc., etc. Use our humanness to understand and co-operate, not destroy, compete and dominate. In this philosophy of farming, you see all of life as a part of a whole and recognize an awesomeness, sacredness and dignity in life, beyond explaining. Within this philosophy of life, one can appreciate the gift of the present by holding all things lightly, enjoying them fully and sharing them generously. AMEN! my kind of people. hurrah! 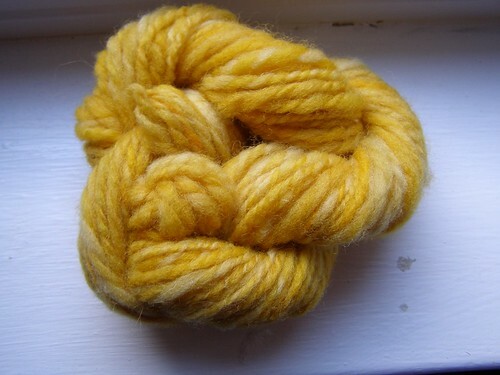 lastly, i’m going to be teaching drop spindling at knit one on the 9th of december from 1-3 if anyone’s interested. it should be fun and they’re getting in roving, beginning spinning books, and drop spindles for the occasion and may continue to have some spinning supplies in the future! especially if the class takes off. 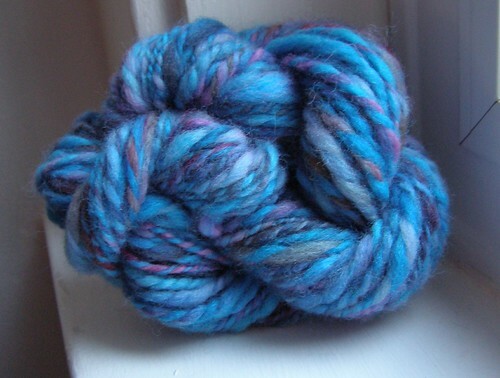 I really wish I lived in your area, my mom bought me a drop spindle and roving for my birthday last week. I would sign up for your class in a heart beat. 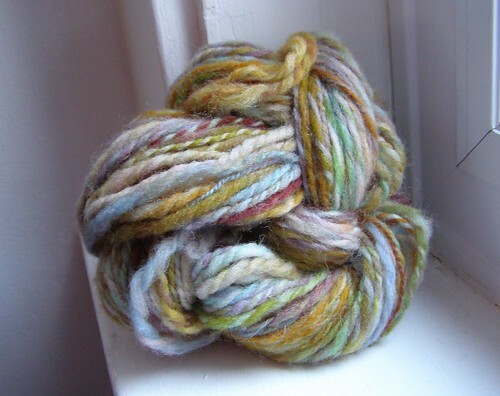 All of your hand spun yarns look so lovely. I can’t decide which one I like best. I’m leaning toward tapestry because of the variety of colors. Wow…I love those thoughts from the farm’s philosophy…it makes me so happy inside to know there are others out there living their lives according to such sentiments. Seems so rare sometimes.